I have been a teacher for 25 years, a Headteacher for 10 years and, at the age of 48, this much I know about why putting on a Summer Show is so important, even if it means having 250 students off timetable for the last fortnight of the school year when OFSTED are due to inspect us at any moment. I would just like to thank you for letting the school put on something as wonderful as the Summer Show. You will never understand how, for me and many others, it has been the highlight of my time at sixth form and has been the thing that has made me want to practically run to school! It has given me a chance to feel, finally, like I fit in with the school and, as well as enjoying every moment, it feels like I already miss it. It has helped me finally understand what hard work, team work and being a company really feels like. It has given me an experience that I could not have got from anything else; the timescale is so short and the cast and crew and teachers have worked extremely hard to put the show on in eight days. So, thank you so much for that opportunity. I have met some wonderful people that I would not have had the courage to speak to in the common room. It has made me want to stay in the sixth form for the chance of doing it next year. They will be many tears from everyone tonight when the final performance is over. 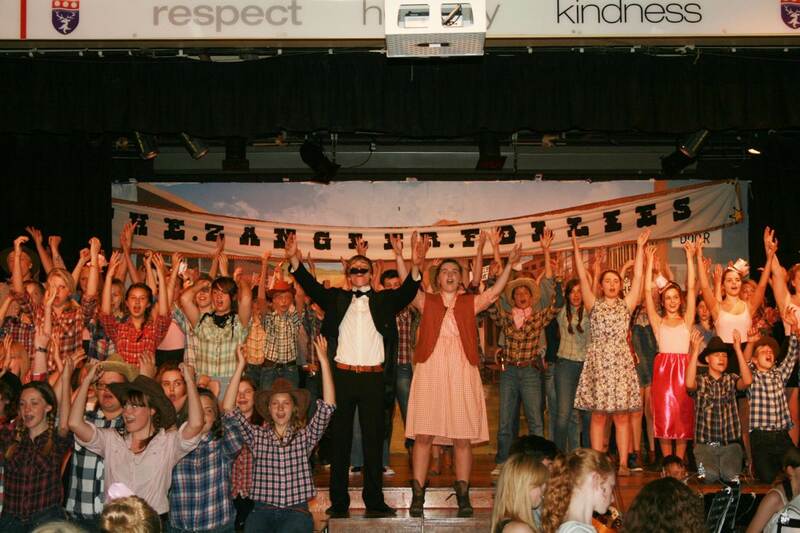 I agree with your sentiments John-the School production is a wonderful occasion. Just one question though-would you have pulled the plug if you had received ‘the call’? We debated and debated this; at one point we had a hugely complicated contingency plan should the call come. In the end we decided that, as we had been doing such a thing for over a decade and that it was in the lifeblood of the school and that students, parents, grandparents, governors and all loved it, in the name of typicality the show would go on whatever and whoever turned up! Immensely important to maintain these school traditions. It is what our memories are made of. Some would say a brave decision; I would applaud it. Hope it continues for many years.